This is the new top-of-the-line Kotaigrill 836 hibachi grill. 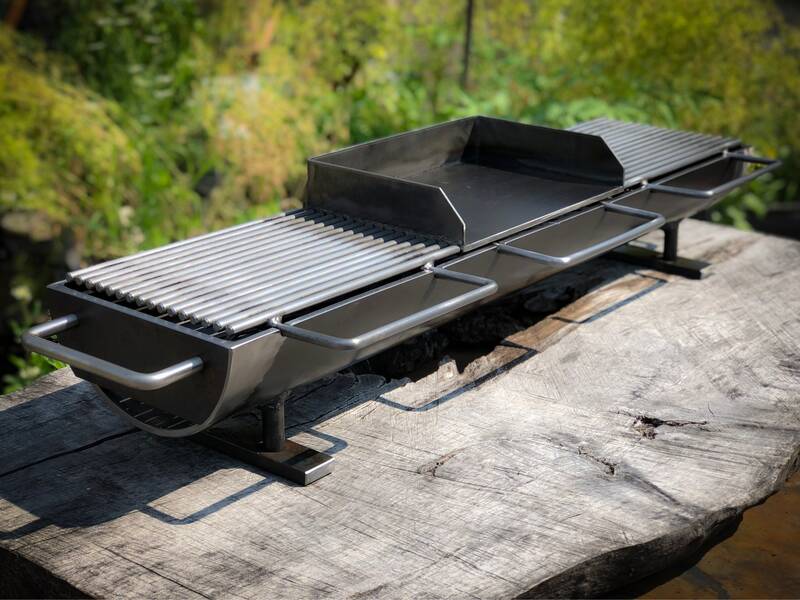 Nearly identical to the 836 twin top, just with three 12” welded carbon steel interchangeable grill tops. This listing includes the brand new 12 inch Plancha!! All grill construction is heavy welded carbon steel, ready to withstand years of use in both commercial and residential applications. This is a charcoal fired grill, and is a completely hand-built item, built by the highest standards of craftsmanship that our shop produces. If you have any doubt; please read the reviews our customers have written. Order with a 800 series charcoal starter for a deluxe package. Grill ships out at approximately 85 pounds.